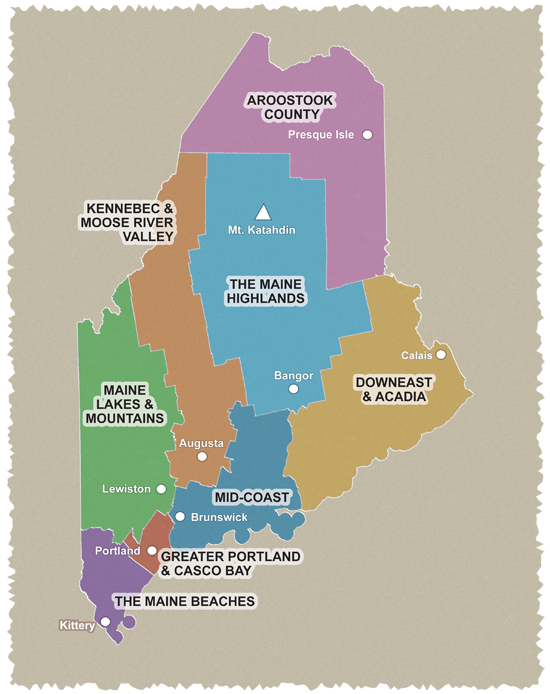 Called by some "the middle of nowhere," the town of Unity is really in the middle of everywhere—located centrally to Waterville, Bangor, Belfast, and Augusta! Home to numerous working farms and Unity College, Unity is proud of its rich agricultural heritage. Unity is home to the Unity Centre for the Performing Arts where artists and performers come from all over the world. The natural environment can be further explored by canoe/kayak on Unity Pond, at Carlton Pond Waterfowl Production Area, part of Sunkhaze Meadow Wildlife Refuge, and at Carlton Bog. By foot, the local CommUnity Trail System offers scenic hikes throughout Unity and the Unity College campus. All rides go around Unity Pond (actually a 2,528-acre lake), which is set in the midst of rolling farm country. Much of the lake is surrounded by marshes. Unity Pond is the largest lake in Waldo County, and though popular with local anglers, it is never crowded. Each ride goes through lovely farm country—llamas, goats, sheep, and beautiful barns—the countryside in the Unity area is incredibly beautiful. Cycling is especially popular during the Common Ground Country Fair in September, when nonmotorized transportation to the Fair is encouraged. See www.mofga.org for dates and times. Cautions: There may be heavy trucks on ME 9/US 202. Some roads have no shoulders. Starting point: All rides start at Field of Dreams parking lot in Unity on ME 9/US 202, about a half mile east of Unity center.